Download this collection of 10 Sky Gradients Free and add a magical touch to your photos and designs. Photoshop gradients are a gradual and smooth transition from one color to another or simply fading out to the transparent. It’s used to create different light effects. The gradient color palette is widely represented in the web design and graphics. When you have a big collection of gradient background Photoshop filters, you enhance photos fast and easy. You can create a gradient background Photoshop effect on your own or download gradient templates. 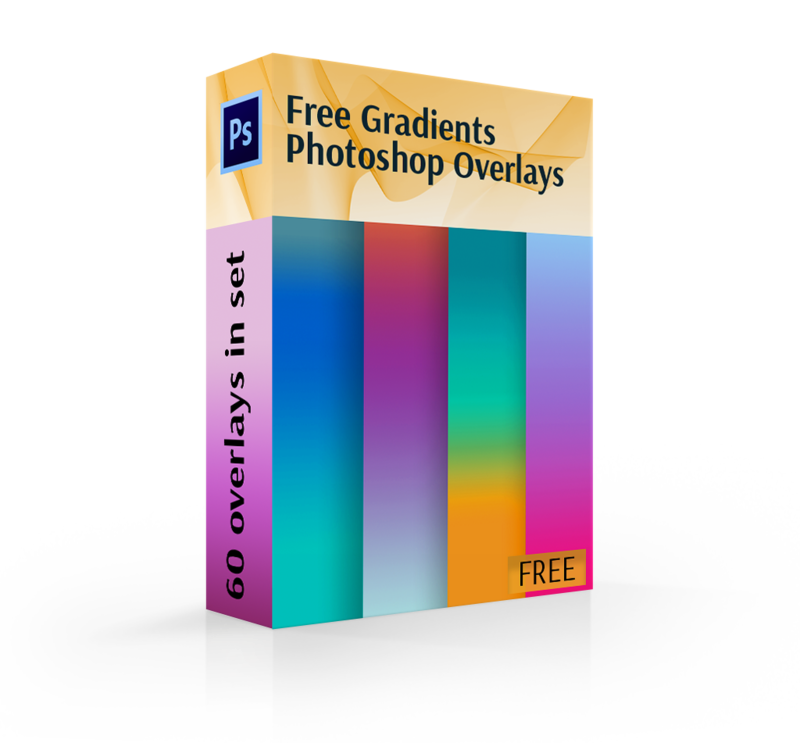 Today we offer 10 sky gradients for Photoshop that you can download for free and use in your designing. They are perfectly customizable and are able to convey the various sky mood. PS Gradient #1 "Turquoise Sunset"
These Photoshop sky gradients can be installed the same way you install Photoshop brushes, patterns, contour lines and so on. Go to Edit > Preset > Preset Manager. 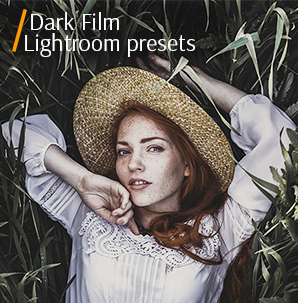 Choose the Sky Gradients preset type. Press Load. Place the file(s) ending in .GRD, and click open. Your Sky Gradients are now available to apply with your Gradient tool, or where gradients are found in Layer Styles (Window > Tools or Layer > Layer Styles). It’s a typical practice for web- and graphic designers to work with Photoshop gradients. The goal is to manipulate the colors of the differently shaped objects or spaces. It’s especially relevant when working with the sky on the photos. This image editing technique is one of the most actual trends today. PS Gradint #1 "Turquoise Sunset"
This sky gradient in pastel tones is perfect for dreamy photoshoots as it gives off some romantic vibes and provides with a few options to choose from, both monochromatic and many-colored. The gentle blue, lilac, and peachy hues look gentle and touching. The purple gradient sky filter isn’t easy to find. The deep purple shade can make an image look more intense without the unwanted “overdoing” effect. In the set, you get six files with the different transparency settings. Six colorful sky gradients will help you achieve a bright sky on night photos. This is not a frequently used Photoshop gradients, but it helps enhance evening photos in several clicks. These six Photoshop sky gradients are exactly what they are called – the saturated filters for the memorable shots. There’re plain blue and golden variants as well as the two- and three-tones files for those, who are ready to experiment with colors. The Dawn sky gradients are a pure quintessential of the golden rays of the parting day. They’ll suit well an evening photoshoot. The great news is that you’re able to adjust intensity, depending on your vision. Just imagine how the shining hues of this gradient will turn a beautiful girl into a bronze goddess. The gorgeous blue shades will never go out of style, especially when talking about gradient sky background. The stormy shots are an option to consider for applying such an effect. The golden rule of thumb to remember: it’s about enhancing, not remaking the surroundings, so don’t go overboard with it. 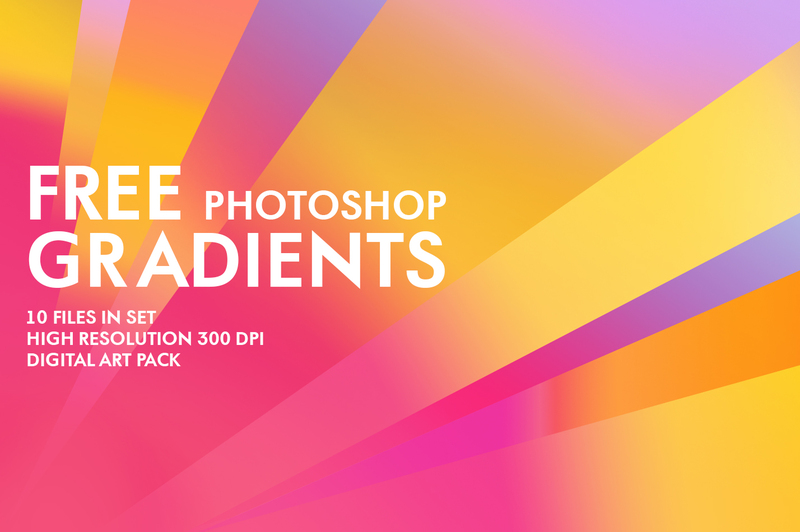 These colorful Photoshop sky gradients are another splash of vividness to your collection. All of them are three-toned. One half of the gradients are more saturated, the other one resembles the water-color pictures. Each gradient can be regulated, in case you need to make some changes. These samples go on with the theme of luminosity and a full range of colors. There’s even an interesting combination of the rich burgundy with neonish blue and its more muted tint. 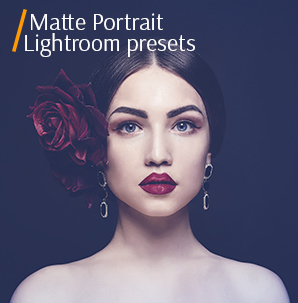 This is really an unbelievable mix that can become a part of your unique image editing or designing style. The six of the sky gradients for Photoshop differ from other sets because of the diffusion effect. They represent a wide range of paints, from rosy to the fuchsia and from baby blue to indigo. 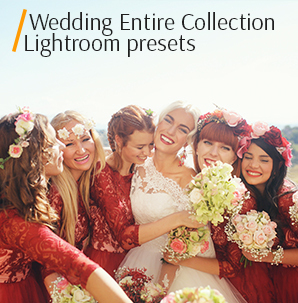 Such variety allows you being creative with the routine process of image editing. The rainbow Photoshop sky gradients are just right pop of colors when you need to add some life to a dull picture. They are easy to work with and may turn out to be a great add-on to the traditional set of tools.